The Twelve Tribes Embroidered Wall Hanging - English CAT# WX - 2. 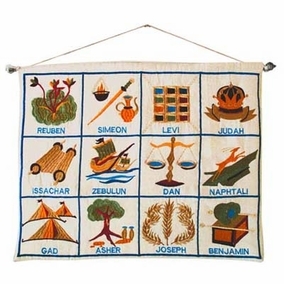 The twelve tribes embroidered wall hanging. Size: 13" X 17".